The next step in player development, the MARS GALAXY™ ELITE ACADEMY will provide elite training for aspiring players committed to improving - advanced ball technique, superior tactical awareness, and a deep understanding of the game... focused on developing each player's confident ability to play with excellence and committed to increasing their love of the game. Through the MARS GALAXY™ ELITE ACADEMY, your players can expect premier training on par with the best classic clubs in our area but at a fraction of the cost… all while getting to play with their friends and classmates close to home in a challenging environment that will never lose sight that soccer is fun and should always be fun! With age-and-skill-focused programs for U8, U10, U12 and U14 players, we are intentionally limiting enrollment in the MARS GALAXY™ ELITE ACADEMY to ensure a focused coach-to-player ratio that will give every player highly individualized attention from our professional coaching staff. So, our initial classes will be for just 20 players in each age group. But we will also accept players on wait list, and we may add additional coaches and additional sessions based on demand. And this is just the start. Our goal for the MARS GALAXY™ ELITE ACADEMY is to quickly provide year-round opportunity for players so that they can keep growing and developing with their friends in a fun and challenging environment. Ultimately, we intend to form and field teams able to compete and succeed in outdoor soccer, indoor soccer, and futsal at the highest levels locally and beyond! So, is the MARS GALAXY™ ELITE ACADEMY right for you? Do you have a player that LOVES soccer! Do you have a player that wants to learn more, to get better faster? Do you have a player that loves playing soccer with their friends? Are you concerned about pushing your player too hard too fast? Have you looked at other Classic Soccer Clubs and wondered if it would be just too much - too much time or too much money? Then YES, the MARS GALAXY™ ELITE ACADEMY is EXACTLY right for you! SUMMER SESSION: Our inaugural class will consist of 15 Training Sessions beginning Wednesday, May 16th and running through Wednesday, July 18th. U8: For players born in 2011 and 2010. 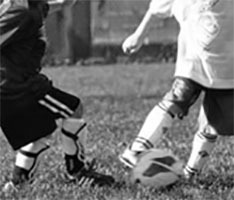 Through the end of the Spring Soccer Season, U8s will train from 4:30 to 5:30 PM on Wednesday, May 16th; Wednesday, May 23rd; and Wednesday May 30th. Beginning in June, U8s will train from 5:30 to 6:30 Mondays and Wednesdays: June 4th and 6th; 11th and 13th; 18th and 20th; and 25th and 27th; and July 9th and 11th; 16th and 18th. There will be no training the week of July 4th. Through the end of the Spring Soccer Season, U10s will train from 4:30 to 5:30 PM on Wednesday, May 16th; Wednesday, May 23rd; and Wednesday May 30th. Beginning in June, U10s will train from 6:30 to 7:30 Mondays and Wednesdays: June 4th and 6th; 11th and 13th; 18th and 20th; and 25th and 27th; and July 9th and 11th; 16th and 18th. There will be no training the week of July 4th. Through the end of the Spring Soccer Season, U12s will train from 7:30 to 8:30 PM on Wednesday, May 16th; Wednesday, May 23rd; and Wednesday May 30th. Beginning in June, U12s will train from 7:30 to 8:30 Mondays and Wednesdays: June 4th and 6th; 11th and 13th; 18th and 20th; and 25th and 27th; and July 9th and 11th; 16th and 18th. There will be no training the week of July 4th. Through the end of the Spring Soccer Season, U14s will train from 7:30 to 8:30 PM on Wednesday, May 16th; Wednesday, May 23rd; and Wednesday May 30th. Beginning in June, U14s will train from 7:30 to 8:30 Mondays and Wednesdays: June 4th and 6th; 11th and 13th; 18th and 20th; and 25th and 27th; and July 9th and 11th; 16th and 18th. There will be no training the week of July 4th. Current players for the Mars Area Soccer Club will receive a $25 discount off their registration. REGISTRATION WILL BE OPEN TO EVERYONE SOON! But we wanted to give our current players the opportunity to sign up early! If you’re ready to take the next step in your player’s soccer career, don’t miss this opportunity!